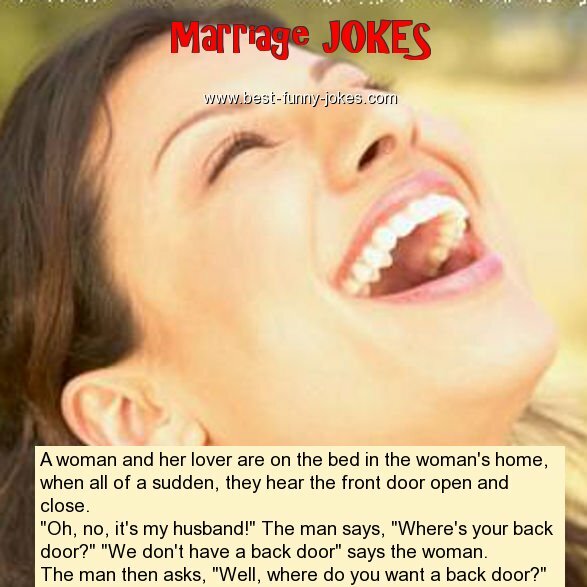 A woman and her lover are on the bed in the woman's home, when all of a sudden, they hear the front door open and close. "Oh, no, it's my husband!" The man says, "Where's your back door?" "We don't have a back door" says the woman. The man then asks, "Well, where do you want a back door?"